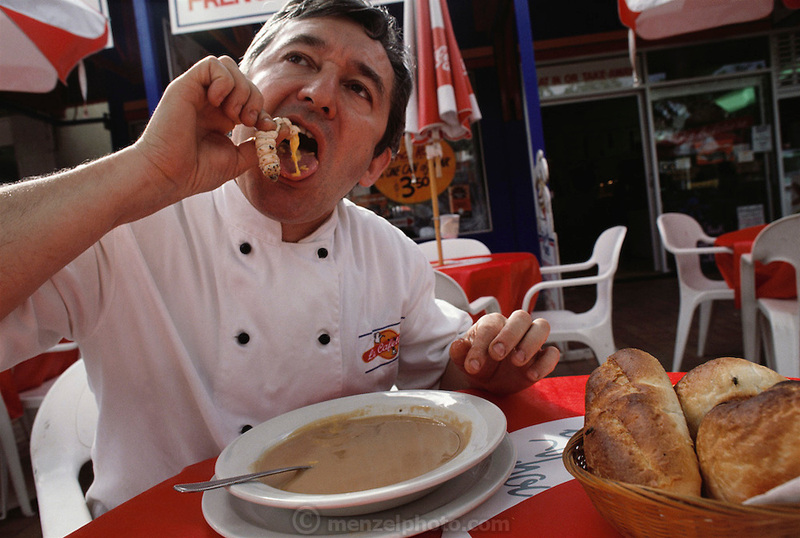 Jean-Pierre Rodot, part owner and chef of La Cafeterie, eats a live witchetty grub out of a bowl of his special witchetty grub soup, Alice Springs, Central Australia. Witchetty grubs are the larvae of cossid moths. The large white worms live in tunnels in the ground where they feed on sap from the roots of a species of Acacia, commonly known as Wichetty Bush. Image from the book project Man Eating Bugs: The Art and Science of Eating Insects.